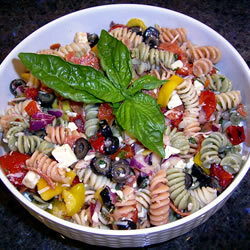 A fresh and colorful pasta salad that is brightened by the addition of a tangy Greek yogurt dressing. It’s perfect for a picnic or as a light vegetarian offering to your next pot-luck dinner. 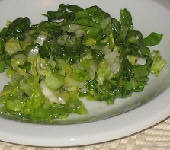 In a medium bowl, whisk together the dressing ingredients until combined. Cover with plastic wrap and refrigerate until ready to use. Cook the pasta according to package directions. While it is cooking, you can chop the vegetables and herbs. 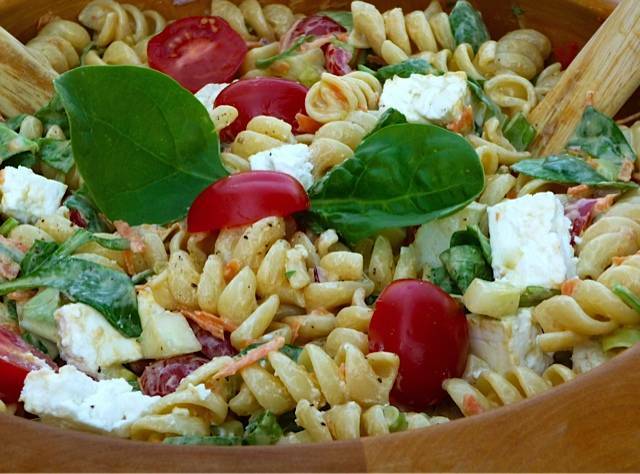 Combine all the salad ingredients except for the pasta and Feta cheese in a large bowl. Toss lightly and season with salt and freshly ground black pepper. When pasta is cooked, drain well and rinse under cold water to cool. Add the pasta to the salad ingredients and mix in the dressing. 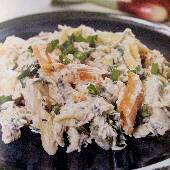 Lightly toss the pasta until nicely coated with dressing and ingredients are well distributed. (Use as much dressing as you enjoy). Add the Feta cubes last and toss lightly to avoid crumbling.